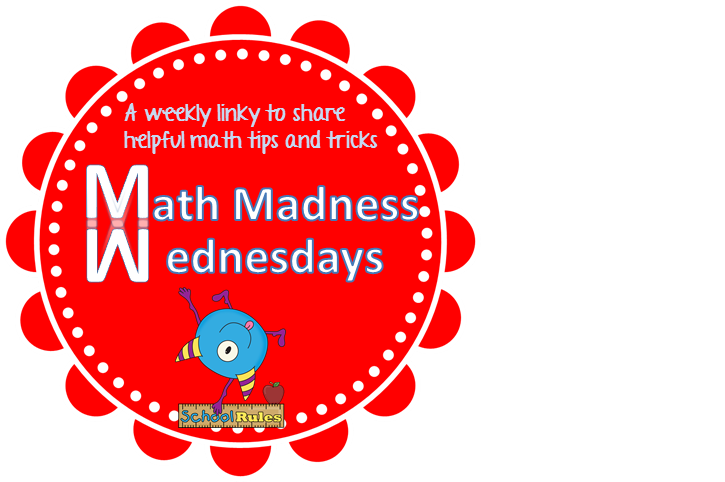 I am linking up with Krista from Teaching Momster for her weekly math linky. 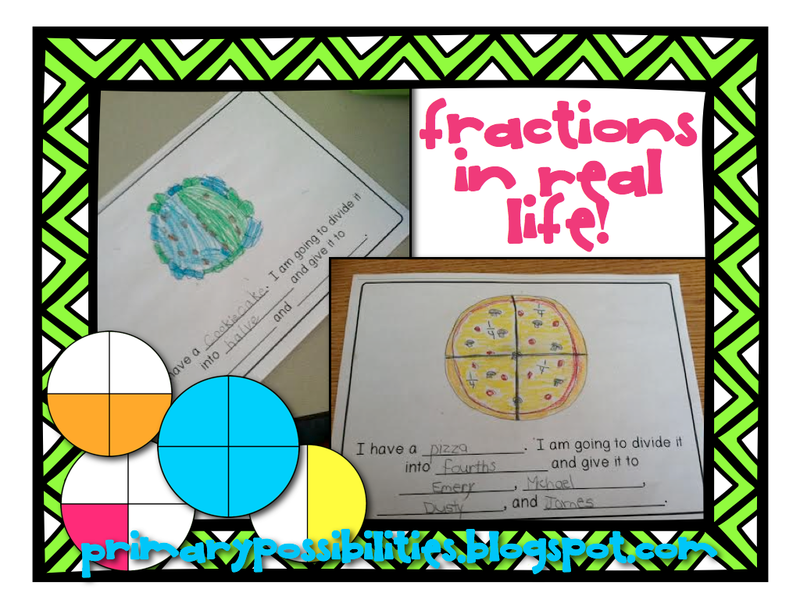 This week's focus is fractions. I LOVE teaching math. Fractions in first grade is one of my favorite skills to teach... when they get it... they REALLY get it and that is so rewarding! First up is a little fraction activity that we completed this week during reteaching time. This was a pretty basic "starter" activity that I completed to catch some of my new students up that had missed fractions before they moved in and to reteach with some of my other students. Students had to choose a round or rectangular real life object and then after they thought of one, they had to decide how they were going to divide it and who they would give the equal pieces to. They could choose halves or fourths. You can click HERE to get the recording sheets for free from GoogleDocs. Another quick activity for teaching partitioning shapes and fractions is this easy no prep idea. I give the students in my group a simple sheet of white paper... all I do is quickly go around my teacher table and stamp the same shape on each student's paper. I then tell them all to partition it into fourths or halves. You can also extend the activity by having them color a certain fraction of the shape after they have partitioned it. 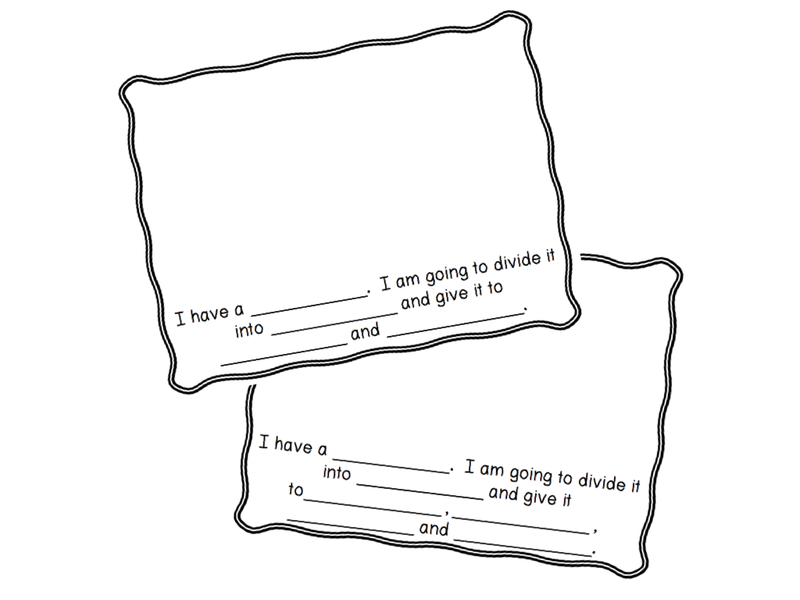 It's quick, easy, and an effective way to teach and reteach fractions. Plus it takes no-prep so who doesn't love that? It's also easy to adapt for your students who need basic reteaching and extending it for those students who are working at an advanced level. Advanced students can work on more complicated fractions. You can get a set of stamp sets from Amazon by clicking below. I love those pages. I can totally see making it into a class book. Thank you! Love those pages for a class book (great idea, Tammy!) and love those stamps! Using pattern blocks really does seem to help kids understand! Thanks for linking up!